Potassium is a chemical element with the atomic number 19. It’s symbol is K, derived from its scientific name which is kalium. Potassium is an alkali metal. In nature, it only occurs as ionic salts. Potassium is an essential mineral needed for many important processes in the human body. Getting enough potassium in your diet isn’t enough; there needs to be a balance between potassium and sodium as well. Potassium is present in all bodily fluids and is important for all the cells in our body, including our muscles cells. Without potassium, the body can not regulate its fluid balance or control the electrical activity of the heart and other muscles. Hypokalemia (potassium deficiency) is one of the most common water – electrolyte imbalances in humans. According data from The National Health and Nutrition Examination Survey (NHANES), less than 2% of the U.S. population reach the daily 4,700 mg/day recommendation. On average, women have less potassium in their diet than men. When the levels of potassium (K+) in the blood serum is below the normal range, the condition is called hypokalemia. Hypo means under and kalemia is derived from kalium, the scientific name for this element. A blood test is the normal method of checking if there is a deficiency, but low levels can also be detected on an electrocardiogram (ECG). The normal potassium level in the blood serum is between 3.5 and 5.0 mmol/L (3.5 and 5.0 mEq/L). A level below 3.5 mmol/L is considered deficient, and a level below 2.5 mmol/L is extremely deficient. Mildly low levels will usually not produce any noticeable symptoms. If the potassium level drops further, symptoms will manifest, and they become increasingly severe the lower the level goes. In one study, those who consumed slightly above 4,000 mg of potassium per day had a 49% lower risk of death from ischemic heart disease compared to those who consumed around 1,000 mg/day. A low potassium intake is linked to high blood pressure and cardiovascular disease. It is well-known that maintaining a low sodium intake is important when a lowering of the blood pressure is desired, but reaching the adequate intake of potassium might be just as important. Can I eat too much potassium? If your kidneys are working well, excess amounts of potassium will be removed from the body through the urine. In an otherwise healthy individual, this process is not known to have any adverse side effects. 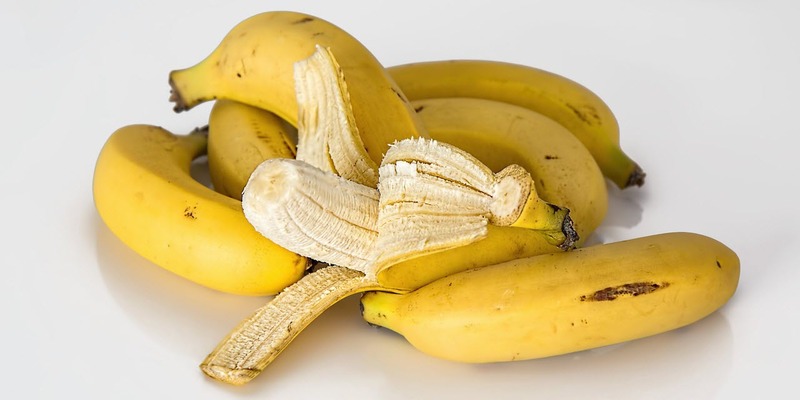 There have been a small number of reports of people falling ill due to an excess intake of potassium. As far as we know, there have been no reports of this being brought on by potassium rich foods. Instead, all cases have been due to an extremely high intake of potassium supplements. If your kidneys are not working well, a high potassium intake is dangerous and can bring on hyperkalemia. A potassium level in the blood serum exceeding 5.0 mmol/L is considered high and should be monitored and managed by a health care professional. If the level exceeds 6.0 mmol/L, the situation is considered dangerous. Mild to moderate hyperkalemia often have no noticeable symptoms or only mild ones. When symptoms do present, they can be easily confused with the opposite condition – hypokalemia. Severe hyperkalemia can express itself with symptoms such as shortness of breath, chest pain and heart palpitations. At this stage, the situation can become life-threatening due to cardiac arrest.